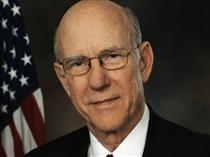 U.S. Sen. Pat Roberts says the Senate should convene a public hearing to look into whether federal health care reforms are increasing premiums. Roberts is a Kansas Republican and opposes the reforms. Roberts worked with Sen. Chuck Grassley, an Iowa Republican, to make the request in a letter to the Democratic chairman of the Senate Finance Committee.